If you love finding new ways to use old things, you’ll enjoys these two creative ideas from the Better Homes and Gardens Do It Yourself Website for repurposing items you may have lying around or can easily find at a salvage sale. 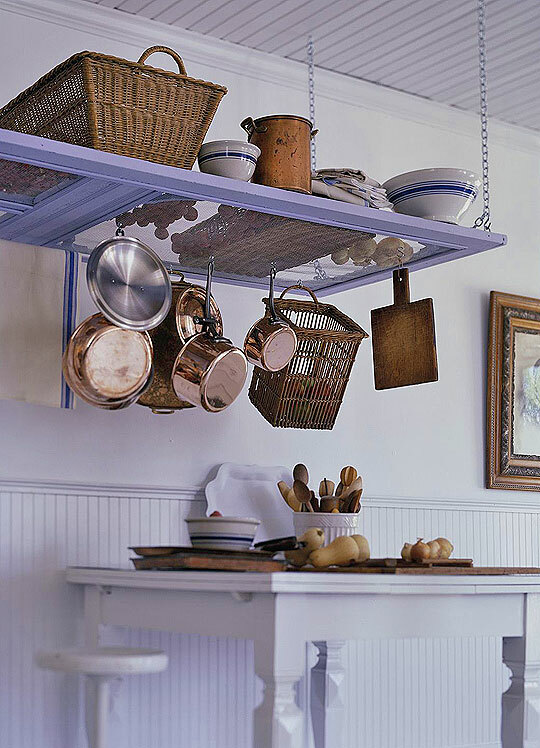 Inserting heavy-gauge wire mesh in a painted door and suspending it from the ceiling with metal chains creates additional storage for pots and pans. 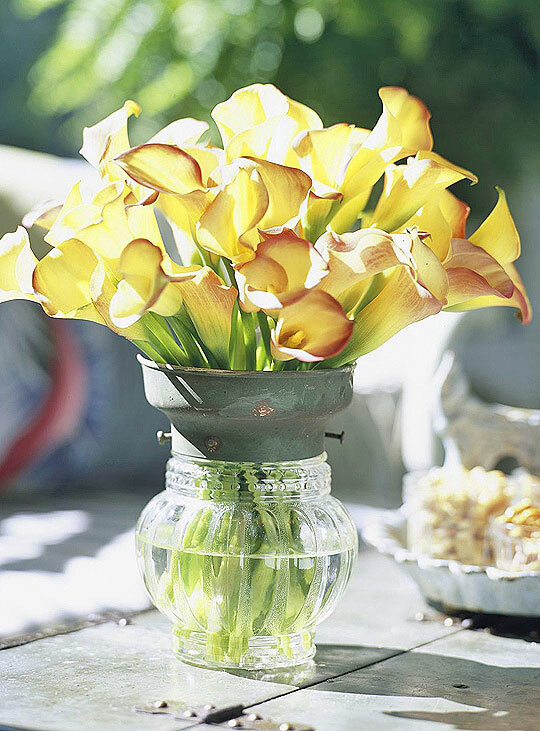 Turning an old light fixture on its head and filling it with fresh flowers creates an electrifying display. If the collar on your light does not have this attractive patina paint it with metallic paint to achieve a bronze or copper patina.